Whitefish off the Harbour Wall? The guys who fish for whities off a georgian bay harbour wall fish off the bottom using chum and single eggs. they use these short rods (4 feet??) and a kind of yellow or chartreuse high-vis line. i was wondering which type of line and rod they use. i've heard the term "drop-shot" rod before, but i'm not sure. I've been part of that scene for 2 decades in the spring and its a tonne of fun. I generally fish with a slip float and single eggs or bags witha 13 foot float rod targeting "silvers" but do have some great days on the Whitefish also. 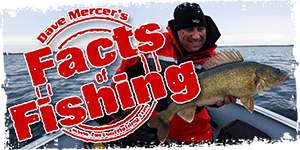 I also do the double-anchored jigging deal out of a boat and that produces more Whitefish for us with short rods as you mentioned. Never tried any sort of high-vis line as this is strictly a feel thing for me. Chumming does help the bite for sure. You see a fair number of guys with this color line on the float reels as it is easier to see. yeah, i think that's why they use the hi-vis, because apparently whitefish have a slower take and they can see the line being pulled and give a gentle lift to set the hook. ....I've done a lot of fishing for whities on Georgian Bay and I'd me more inclined to use a super thin no stretch superline or braid with a flourocarbon leader. You're better off trying to detect the take by feel than waiting to see the line move, IMHO. Yeah, a lot of guys use the drop shot with a small fly 18-24" up tipped with a egg or tinny minnow, generally as soon as you see the line move set the hook instantly with a smooth lifting motion not a big bass hook set. I like super lines and feel as well but most guys use the drop shot from what I've seen. I tried the drop shot this fall for the first time with Whites and it worked good but the hook sets took time to get down, just a long slow lifting motion. I actuallly used PowerPro for that as well because it's visible and sensitive anyway, used any small flyes I had tipped with a 1-2" minnow.